NGC 1532 in Eridanus. 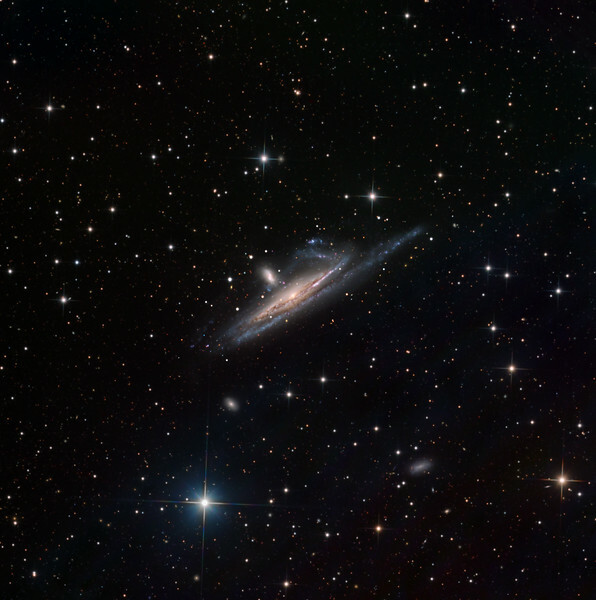 A tidally interacting pair of galaxies. Note the bright blue streaks and dots - OB associations - in the spiral arms, resolved into individual dots in the faintest parts of in the outermost tidal tails. Field approx half a degree. 0.55 sec arc/pixel. Lum: 12 hrs; RGB 2 hrs each, all in 30 min subs. Aspen CG16M on 20" PlaneWave. Processing mostly with GoodLook 64. Some cosmetic repairs of reflections from upsilon 4 eridani using PhotoShop CS5.